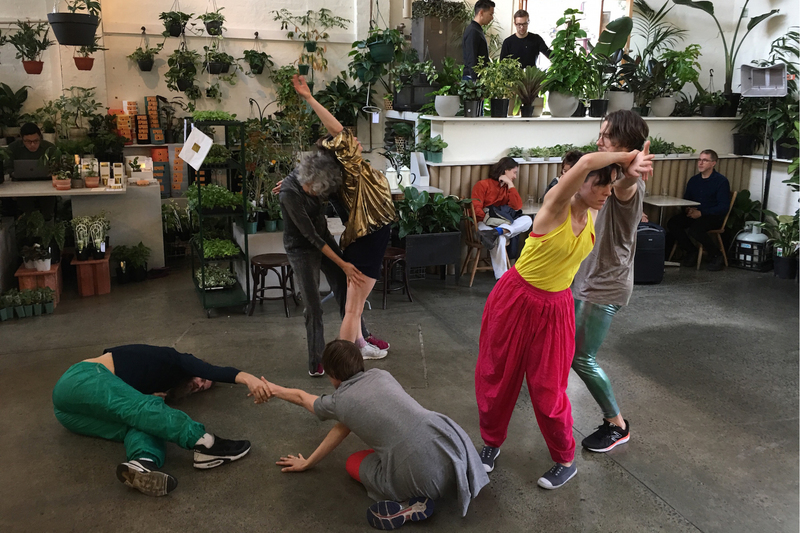 The Design Plot is a performance project curated by Shelley Lasica and featuring artists Ellen Davies, Timothy Harvey, Louella Hogan, Daniel Newell, Lilian Steiner, and Jo White. The work combines choreography that considers the various ways in which spaces are occupied and aims to understand systems of sensory awareness, exploring the idea of construction as scenography and delving into the problematic nature of decision making. Unfolding as an event that combines research, performance and play—using both choreographic and physical practice—The Design Plot examines the thematics of how we are ‘together’ in relation to each other in the spaces that we inhabit, how we understand these shifting circumstances and locations physically, sensorially and metaphorically, and how these perceptions function for both performer and audience in their respective understanding and enjoyment of choreography. Come down to MPavilion to witness an integrative approach to performance that simultaneously explores and activates the human sensorium. This project is supported by The City of Yarra.